Wizard has created its professional filming reputation not only with amateur pantomime productions but professional shows. We have filmed at venues such as The Linbury Theatre , Covent Garden, the Palladium, the Apollo Victoria and The Orchard Theatre in Dartford. We appreciate the amount of work you’ve put in to your performance. You’ve endlessly rehearsed, lines have been learned, movement and acting perfected. Therefore you want to be sure the pantomime filming company you choose to work with, is going to deliver a professional service and quality digital product and , if required DVDs for the cast. Wizard Video Productions is one of the UK’s leading live performance filming and theatrical performance video production company. We understand live shows from a unique perspective. Our director Patricia Ellis is herself a dancer and dance teacher, who runs her own RAD dance school as well as Wizard Video. She appreciates what it takes to shine in live performance – from both sides of the camera. Our experienced camera operators will deliver a pantomime video production of which you and all your performers can be proud. They will want to keep it either for family entertainment or to showcase their talents to agents and scouts in the future. With well-equipped, broadcast quality, in-house editing and post-production facilities, we will duplicate and turn around your orders quickly, too. Of course we can provide digital files for your website and your pantomime promotion. 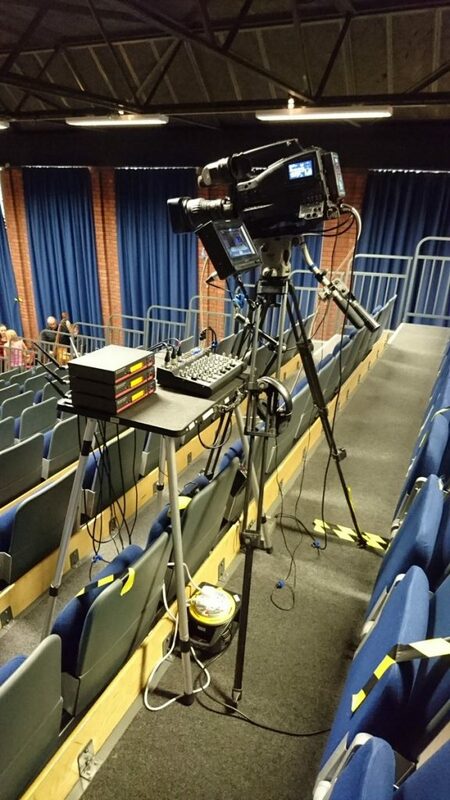 Wizard Video Productions has wide experience in the following: stage, school concerts, plays, all dance forms, including ballet, pantomime, nativity, gymnastics, nursery, college, & west end productions.